Living overseas in the 1990s, we were able to get enough dishes and glasses just by buying laundry detergent. No extra cost. 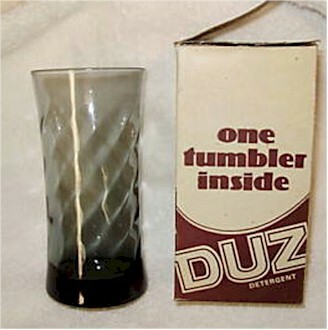 We had every giveaway glass, plate, and encyclopedia that you could get from a detergent, grocery store, or a gas station. I remember the drinking glasses from Bama (Apple) Jelly. You can find those sometimes on ebay. I would kill for a set of them. Circa 1968.